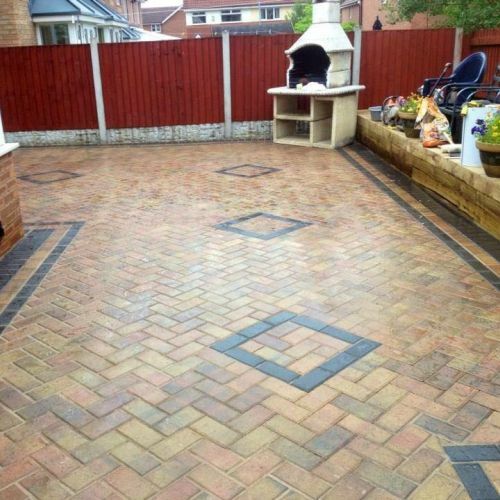 If you want to upgrade the cosmetic appearance of your property, but you’re not quite sure exactly what materials you want to use then you should certainly consider block paving in Bicester. 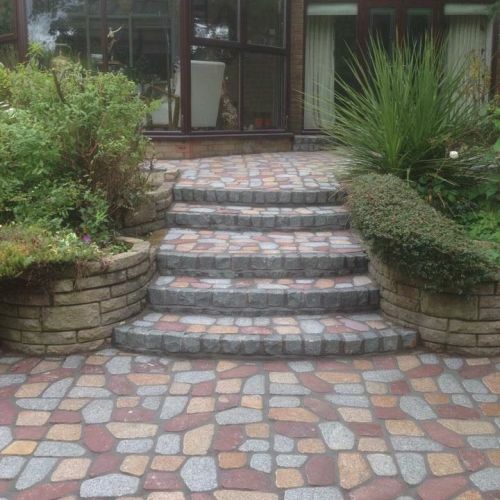 With many different colours from which to choose you can really create something unique and eye catching when you choose block paving for your patio or driveway project. A lot of people we speak to don’t consider block paving in Bicester because they’re of the belief that they are limited with what can be done in terms of design. This couldn’t be further from the truth, and in reality, it is one of the better solutions if you want a hard-wearing driveway, path or patio without excessive maintenance. Block paved patios and driveways don’t wear down with time and, unlike materials like concrete and tarmac, they aren’t prone to cracks. You’ll also find that it doesn’t get seriously hot in summer, so it is ideal if you park your car on the driveway as opposed to in the garage. A block paving driveway is also actually very easy to install when you hire a reliable professional – yet another benefit of this surfacing material. You can have total flexibility over your own design and just about anything is possible, whether you want a circular design with lots of colour or a criss-cross design that utilise the same colour and one, there are endless options to choose from. For pathways, block paving is a great material choice. While for pathways you generally wont be able to add circular designs or swirls, you do have endless colour options from which to choose. Maintenance for block paving is low but you’ll find over time that weeds and moss grows between the cracks of the bricks. 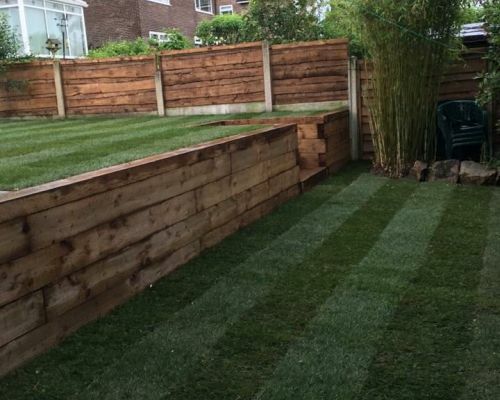 Moss and weed growth can be treated in seconds, but the appeal of block paving is that that’s about all you need to worry about – the bricks themselves won’t fade or dull over time. With paving stone pathways, you increase the chances of weeds and you also run the risk of them splitting if too much pressure is applied. Block paved pathways are a lot more durable and hard wearing and the smaller sized stone provides a superior support structure. Because the blocks are smaller in size, many people choose to have curved pathways running through the garden or round the side of their properties and even from the driveway to the front door. Block paved driveways are still one of the most popular choices for homeowners installing a new driveway. They have plenty of grip, so they’re great for winter. They don’t get slippery when wet and you’ll not need to worry about vehicle weight cracking the stones. 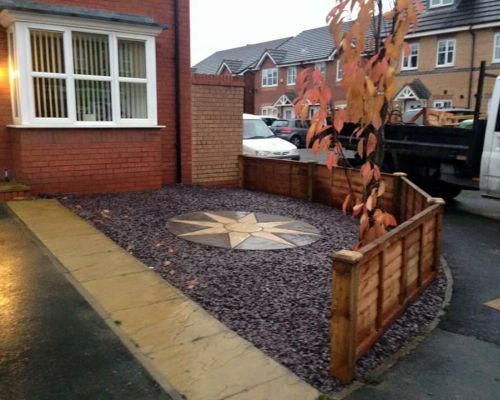 Some people think paving slabs is a good option for a driveway, but this is never recommended – flags can and do crack much easier than block paving and because flagging doesn’t stand up to weight very well they can lift. Block paved driveways don’t present such problems and can readily withstand pressure from even the heaviest of vehicles. 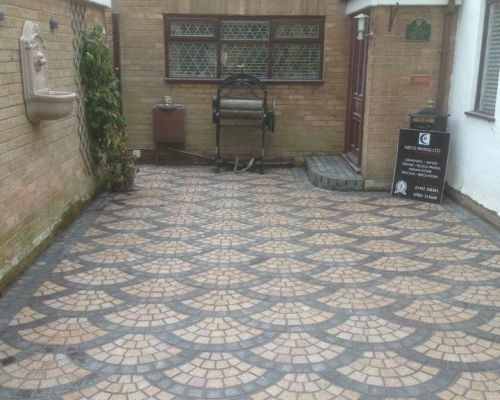 A block paved driveway can be laid in a multitude of different colours and designs – the sky is the limit when it comes to the design. 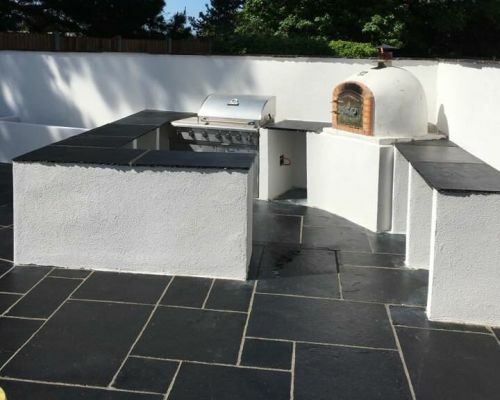 If you want to install block paving on your patio then you should certainly take a look at the advantages that it has to offer. Many people opt for wooden decking for their outdoor patio areas, but decking has a number of drawbacks when compared to block paving. Regular maintenance will be required with wood being prone to mites and various other infestations, and with or without regular maintenance you’ll see that decking rots over time. Aside from a little moss growing between the bricks over time, block paved patios are virtually maintenance free and will last much longer than a wood deck. Block paving is a great choice for those who want a low maintenance solution for their outdoor flooring. 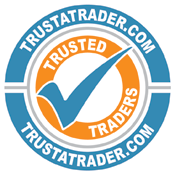 If you are considering block paving in Bicester and would like us to provide a free site survey and quotation, please contact our installation team today.